Manufacturer of a wide range of products which include snow sledding, floating restaurant, amusement rides and skiing slopes. To keep our goodwill in clients' consideration, we manufacture, trade, export and supply a different range of Snow Sledding. This snow sledding is made with diverse specifications & quality assured material. The offered snow sledding examined by our quality expert’s team in order to make certain its quality. Apart from this, we are giving this snow sledding to our customers at affordable price. We are acknowledged as one of the most experienced enterprises of this industry, engaged in providing an extensive range of Floating Restaurant. This floating restaurant is designed from the quality assured material and cutting edge technology. Our patrons can take this floating restaurant from us at nominal rates. The offered floating restaurant is examined for its quality & durability. This given floating restaurant is provided with different customization options on customer’s demand. 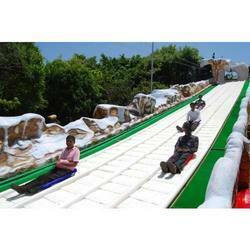 With the backing of our skilled professionals, we are occupied in offering a qualitative series of Alpine Coaster. This alpine coaster is perfectly design by our competent experts. Our competent experts design this alpine coaster by utilizing quality proven components and leading edge technology. 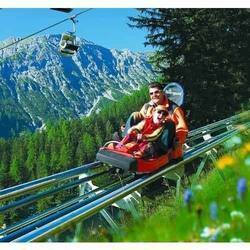 Along with that, we are offering this alpine coaster to our revered customers at nominal price. In tune with advanced market developments, we are providing an elite range of Skiing Slopes. We design this skiing slope at our own manufacturing unit under the observation of our experts by utilizing best grade basic material. 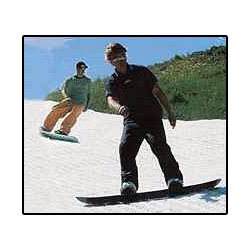 The offered skiing slope is known for its smooth finishing & quality. Apart from this, the given range of skiing slope is provided with different stipulations & customization options at reasonable price.